Our short intensive SUMMER, WINTER, SPRING SCHOOLS run during each year, and are suited to various levels of experience and training – please ask if you’d like to know more by talking to one of our team. New to GFCA? Here is a Part-time STUDENT REGISTRATION form to complete, if you’d like to join us. * We do NOT charge application fees for our short courses and workshops. We look at ways of opening up and revealing the self so as to achieve real intimacy in performance. We plumb the actors’ resources, opening them to parts of themselves they had previously not accessed for their acting work. They also discover methods which assist them to dramatically increase their creativity in rehearsal, by developing instinct and the ability to surrender to impulses. This is accompanied by an introduction to the system of character analysis influenced by the work of Christopher Fettes and the Yat Malmgren system of Movement Psychology. We analyse the text in depth, and move on to developing truthful characterisation through a series of exercises – the character object exercise, character private moment and the character interview. We work on monologues of the participants’ choice, and a series of classical / modern scenes [confirmed once we know the basic make-up of the group]. Email us to book in! Taught by experienced members of the teaching team at GFCA. 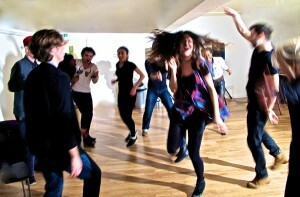 With sessions in Voice, Movement, Meisner Technique and Improvisation, around a strong core of acting and presentation-skills, you are encouraged to develop your range and confidence. Here you can learn exactly what acting is from many perspectives. Develop the technical skills needed to expand your imaginative powers; how to use yourself and your experiences in your acting, how to breathe life into characters, how to break down a script and much much more! By the end of the course you may continue to explore acting on a deeper level in regular acting classes or workshops at the Centre. Even if not, you will be able to apply many of these skills in other walks of life, and feel more confident in your ability to communicate in public. Suitable for age 17+, with no upper age-limit. 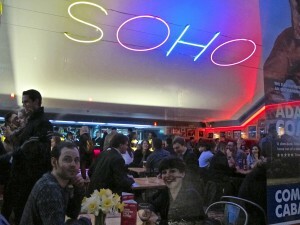 The Centre is one of the best institutions for studying acting in London, and the techniques taught are drawn from that of the great acting teachers of the world, from Stanislavski through to Lee Strasberg, Uta Hagen, Sanford Meisner and Stella Adler. No interview required before starting, but book early as places fill fast. • All Prices – click here. Full payment must be made 3 weeks before the course begins – preferably by bank transfer into the Centre’s account, or by debit card over the phone – however a deposit of £120 will reserve a place before that date. All Dates – click here. • We endeavour to assist people in finding accommodation during their stay in London, including inexpensive hostels and rooms, possibly with current Centre members. 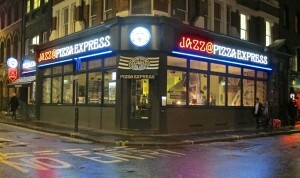 Jazz at Pizza Express on Dean St.